Addiction and recovery is a subject that is very close to my heart. 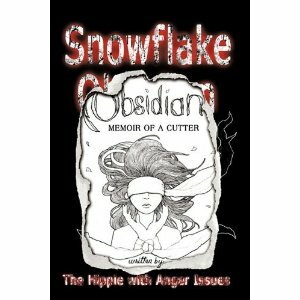 Because of this, I have read my share of books on just about every subject, including cutting and Snowflake Obsidian was one of the most raw and real books I have read in a long time. Of course, I would love to say that all stories revolving around self-discovery offer us a view of the warm and fuzzies, but the unfortunate reality is that in many cases, this is simply not the case and The Hippie - author of this book makes that incredibly clear from the get go. This book sounded true and real to me - with the main character Willow going through a host of experiences that run the gamut of "sweet" to "harsh and painful" and everything in between. Willow has been protected by religion and the church (Mormon) - until she discovers that life is about life and CANNOT always be covered under the umbrella of religion alone. Love and relationship , as is often the case, begins the downfall - precipitating a host of events and experiences that serve to make Willow seek out relief for her pain - through mainly cutting. What I loved about this book is the realistic experiences that our main character goes through - the ups and downs and the one step forward and two steps back. Seeking relief from unknown pain and life in general, all the while trying to find a better way. This book is extremely well written, making me as though I am living each event with Willow. It is true and scary and hopeful and frank. Everything I love in a memoir. I read another book on cutting and the main character of that one was named Willow too. I think it must be a bigger problem than I realized. 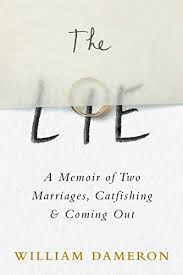 I am reading this book right now for the book tour.